When in Cuba, instead of seeing commercial advertisement billboards and banners on the streets like in majority countries I visited, you will be presented by Cuban’s state propaganda’s billboards. They are so many that it will be impossible to miss them. The most favorite subject, of course, is Guerrillero Heroico, Che Guevara. The billboards also presented in accordance to the (revolution) history of the area. On our way to Playa Giron, as we get closer to the area, the more we saw billboards on revolution and the victory on Playa Giron’s battle, or famously known as Bay of Pigs Invasion. And the Cuban’s state billboards bring the socialism ideas and the ruling political party’s agenda, PCC, the Communist Party of Cuba. After all, it is interesting to see Cuban state’s billboards, how politics dominates public space to influence their citizens with their idealism. While nowadays, in other part of the world outside of Cuba, the public space is dominated by transnational companies with their products advertising that supported by consumption urge. Some of the quotes or perhaps the ideology behind these quotes, seems contradicting to current living styles of majority world societies. Yet, this ideology still alive in Cuba, and it still presents until now. 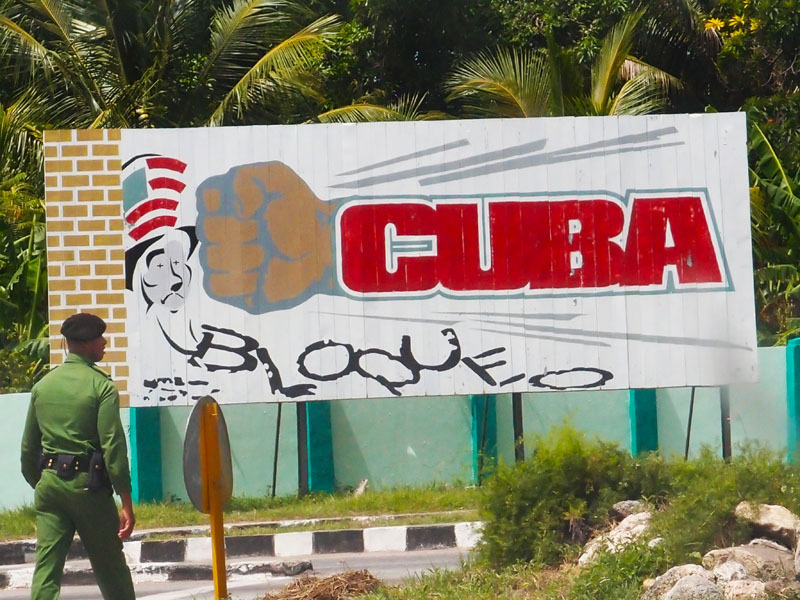 I love the billboards in Cuba, too – though in Havana, they were mostly painted on walls. Looks like I need to go back to Cuba and explore the rest of the country to find these cool boards!